The Cleveland CG12 Chrome wedge features ZIP Grooves, which is a consistent CNC milling of each groove to maximum USGA conforming dimensions. 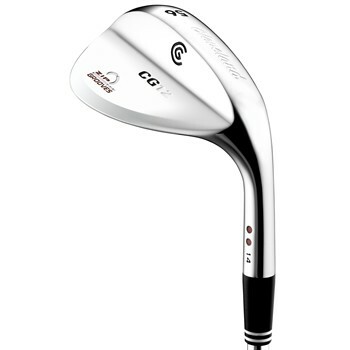 Its classic style, along with the larger groove volume of the ZIP Grooves makes the CG12 Cleveland''s most consistent, controllable wedge ever. ZIP Grooves create optimal friction and ball compression for more control. Protective coating is applied during the sandblasting process for durability and integrity of the grooves.